Kee Klamp® Fittings | Morrison Industrial Equipment Co. Assembly is fast...just slip pipe in and tighten case hardened set screws with standard hex tool. No welding, no threading, no drilling or bolting. Additional styles and sizes available - contact us for details. 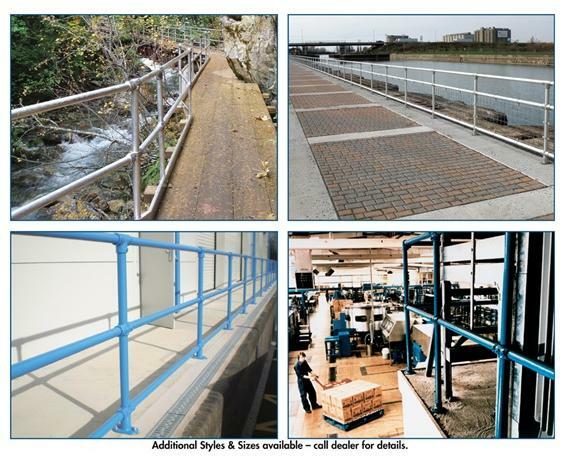 Strong pipe fittings make it easy and economical to assemble railings, racks, fencing, awning frames, boat docks, stalls, light grid systems and 1001 other applications. 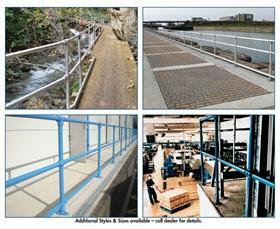 Galvanized fittings are ideal for either indoor or outdoor use. Holds up to two tons, with larger size fittings. 100% reusable. 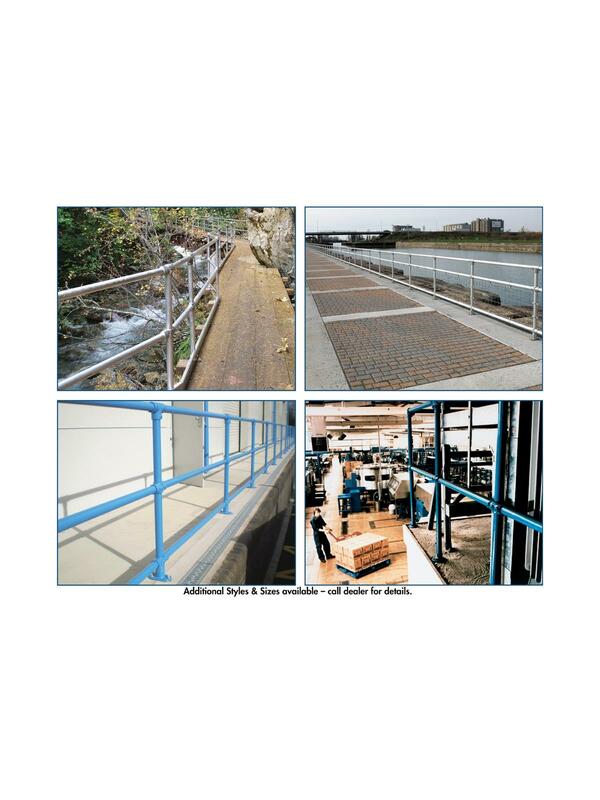 Meets or exceeds OSHA requirements for railings. FOB Shipping Point. Nominal Pipe Size 1" 1-1/4" 1-1/2" 2"
Pipe Dia. 1" 1-1/2" 1-1/4 " 1-1/4" 2"